There are fresh concerns over the future of the EU-Turkey migration deal after Ankara’s EU minister rejected the bloc’s calls for Turkey to change it anti-terror laws, leaving both parties in a diplomatic stalemate. Omer Celik, Turkey's EU minister, said Brussels' demands that Turkey reform its anti-terror laws to fall in line with European guidelines were "impossible," particularly in the aftermath of last month's attempted coup. He told the Financial Times Turkey had survived "a coup attempt by a terrorist organization," adding that the country was facing numerous security risks in the wake of numerous terror attacks. ​"We have the PKK, Daesh and other groups launching attacks so it would not be intelligent to make an amendment in the terrorism law at this point." The issue of Turkey's anti-terror laws could have far-reaching consequences, with fears it could scupper the EU-Turkey migration deal, which has been central to stemming the flow of refugees and migrants traveling from Turkey to Greek Islands in the Aegean Sea. As part of the incentive of the migration deal, EU officials agreed to remove visa travel restrictions for Turkish citizens within the bloc, providing Ankara met certain conditions, including the reformation of its terror laws to suit European standards. ​Despite Turkish President Recep Tayyip Erdogan accusing the EU of not honoring its commitments and threatening to tear-up the deal unless visa liberalization processes are met, EU figures have remained resolute, with German Foreign Minister Frank-Walter Steinmeier saying the visa waiver would only be introduced once Turkey meets the EU guidelines, noting that "this is not currently the case." Steinmeier also raised concerns over the press freedom and the arrest of many other people in Turkey following the failed July 15 coup. Steinmeier on visa-free travel: "The European Commission will examine very carefully whether and when Turkey fulfills the requirements"
​"We have made clear from the beginning, what we think of arrests of teachers, judges and journalists and we will continue to do so," he told German newspaper Bild. 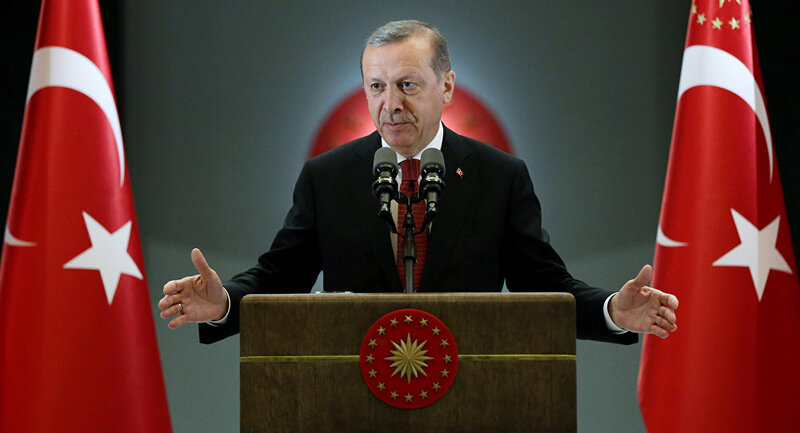 The ongoing tension has been exacerbated by Turkey's recent coup, with Turkish government officials accusing the EU of not supporting Ankara following the attempt to unseat Erdogan from power. ​Meanwhile, EU figures have grown increasing concerned with the post-coup actions of Erdogan's government, warning against widespread purges in society, after thousands of military officials, teachers, academics and journalists were arrested by government forces. The tension led Austrian Foreign Minister Sebastian Kurz to say he would block any further talks regarding Turkey's EU accession, while Austrian Defense Minister Hans-Peter Doskozil described Turkey as a "dictatorship."